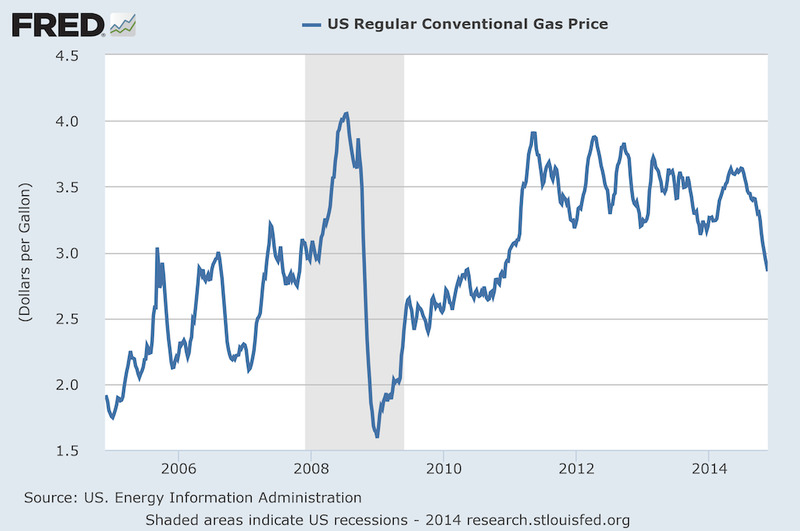 The last time gas prices this far, this fast, we were in a recession. Or actually, closer to a depression. According to a tweet sent out this afternoon by Bespoke Investment Group, the average price of gas in the US hasn’t risen in 60 days. This is the second longest streak in a decade, and the longest since an 87-day streak in late 2008. 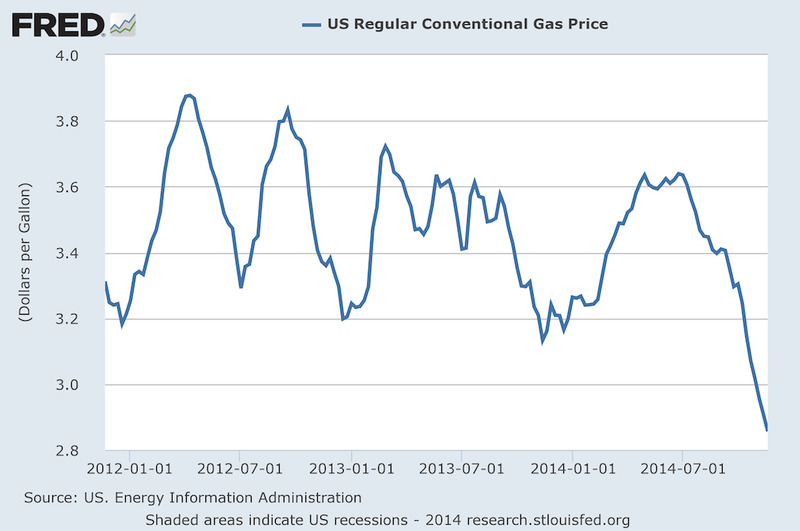 Average price of a gallon of gas has not risen for 60 days. Second longest streak in last ten years behind 87 day run in late ’08. In late 2008, you may recall, the economy was reeling from the Lehman Brothers bankruptcy and the bursting of the housing bubble, with the stock market in the midst of a huge sell off and the economy plunging into a recession that would last through most of 2009. This year’s decline in the price of gas comes as crude oil has fallen about 30% since its highs in June as a glut of supply comes to the global market and concerns abound about a global economic slowdown. Later this week, OPEC is set to hold its annual meeting, with some on Wall Street expecting the cartel to announce a production cut this year to reduce global supply and bolster prices. 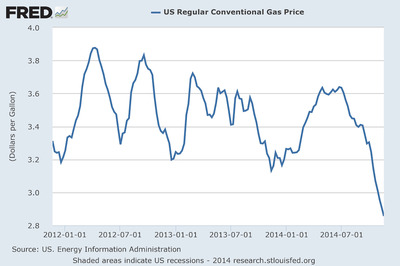 Here’s the chart of gas prices over the last three years. 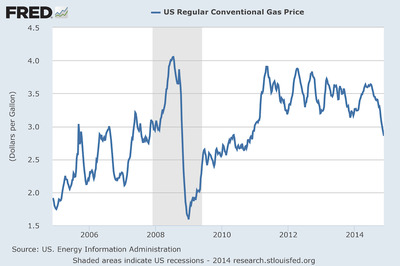 And gas prices over the last 10 years, with only that enormous drop in 2008 outpacing the recent declines.